We’ll provide some insights and review some of our value DFS defense picks for week 13. 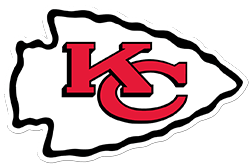 Kansas City Chiefs – Salaries: DraftKings (DK) – 2500, FanDuel (FD) – 4300. The Chiefs’ salary ranks them 14th/7th on DK/FD, respectively, making them a better relative value on DK. The betting line with the Raiders (2-9) has the game total at 55.5 points (highest on the board) with the Chiefs (9-2) as -15 point road favorites. The Chiefs’ implied team total is currently at 35.25 points and the Raiders are currently at 20.25 points. The Chiefs are coming off their bye. The Raiders rank 30th in fantasy points allowed to opposing defenses, 24th in yards with 338.3/gm, and 30th in points with 17/gm. The Raiders give up the 5th (tied) most sacks with 36 and rank 14th (tied) in turnovers allowed with 14. The Ravens’ defense logged 3 sacks, a fumble returned for a TD, a punt return TD, and held the Raiders to 17 points. Their 18 fantasy points scored ranked them 1st last week. The Chiefs’ defense ranks 7th in fantasy points scoring, 3rd (tied) in sacks with 36, 3rd (tied)in QB hits with 73, and 11th (tied) in takeaways with 17. The Chiefs’ defense logged 5 sacks, 2 fumble recoveries with one returned for a TD, and allowed 42 offensive points to the Rams in week 11. The Chiefs’ 11 fantasy points ranked them 6th (tied) for the week. Once the Chiefs get up to a two score lead, which could be early, they’ll be able to tee-off on a shell-shocked Derek Carr. Sacks and chaos should ensue. Indianapolis Colts – Salaries: DraftKings (DK) – 2600, FanDuel (FD) – 4200. The Colts’ salary ranks them 10th/8th on DK/FD, respectively. The betting line with the Jaguars (3-8) has the game total at 47.5 points with the Colts (6-5) as -4 point road favorites. The Colts’ implied team total is currently at 25.75 points and the Jaguars are currently at 21.75 points. The Jaguars’ offense gives up the 7th most fantasy points to opposing defenses and the 3rd (tied) most turnovers with 22. This offense also ranks 22nd in yards with 346.5/gm and 28th in points with 17.9/gm. The Bills racked up 3 sacks, 2 picks, and held the Jags to 21 points last week. The Colts’ defense ranks 17th in fantasy points and 5th (tied) in turnovers created with 20. The Colts’ defense logged a sack and a fumble recovery while allowing 24 points against the Dolphins last week. OC Nathaniel Hackett has been fired and QBs coach Scott Milanovich has been promoted to OC. QB Blake Bortles has been benched and Cody Kessler will make his first start this season. LG Andrew Norwell (ankle) has been placed on IR. RB Leonard Fournette has been suspended this game for his brawl with Shaq Lawson last week. The Jags’ implosion is now complete after dropping their seventh straight loss. During this span, the Jags are giving up an avg. of 10.6 fantasy points to defenses. Los Angeles Rams – Salaries: DraftKings (DK) – 2600, FanDuel (FD) – 4100. The Rams’ salary ranks them 10th/10th on DK/FD, respectively. The betting line with the Lions (4-7) has the game total at 54.5 points (2nd highest on the board) with the Rams (10-1) as -10 point road favorites. The Lions’ implied team total is currently at 22.25 points and the Rams are currently at 32.25 points. The Rams are coming off their bye. The Lions rank 25th in fantasy points allowed to opposing defenses while the Rams’ defense ranks 2nd in fantasy points. The Lions allow the 13th most sacks with 32 and the Rams rank 14th (tied) in sacks with 29. The Lions also cough up the 9th (tied) most turnovers with 16 while the Rams rank 5th (tied) in takeaways with 20. The Bears’ defense logged 2 sacks, 2 picks with one returned for a TD, and held the Lions to 16 points, scoring 13 fantasy points last week. The Lions will be without WR Marvin Jones Jr. (knee) as he has been placed on IR. RB Kerryon Johnson’s (knee) status for this week is currently unknown. The Rams’ defense logged 3 sacks, 3 picks, 2 fumble recoveries, 2 defensive TDs, and allowed 45 offensive points to the Chiefs in week 11. The Rams’ 21 fantasy points ranked first that week. CB Aqib Talib (ankle) has been designated to return from IR, and could make his return this week. The Rams are poised to drop the hammer on a downward-spiraling Lions team that has lost four of their past five games. Denver Broncos – Salaries: DraftKings (DK) – 2700, FanDuel (FD) – 4500. The Broncos’ salary ranks them 7th/3rd on DK/FD, respectively. The betting line with the Bengals (5-6) has the game total at 42.5 points with the Broncos (5-6) as -4 point road favorites. The Bengals’ implied team total is currently at 19.25 points and the Broncos are currently at 23.25 points. The Bengals rank 15th in fantasy points allowed to opposing defenses while the Broncos’ defense ranks 6th in fantasy points. The Bengals rank 20th (tied) in sacks allowed with 26 and the Broncos rank 8th in sacks with 33. The Broncos also rank 7th (tied) in turnovers created with 18. The Browns’ defense logged a sack, a pick, a fumble recovery, a blocked kick, and held the Bengals to 20 points, scoring 8 fantasy points last week. The Broncos’ defense logged 2 sacks, 2 picks, 2 fumble recoveries, a blocked kick, and held the Steelers to 17 points. The Broncos’ 13 fantasy points ranked 3rd (tied) last week. QB Andy Dalton (thumb) has been placed on IR with Jeff Driskel now filling in under center. WR A.J. Green’s (toe) status this week is currently unknown. With an implied positive script for Denver, they should be able to force Driskel’s hand, creating multiple pathways to score. A.J. Green projects to return this week. LT Cordy Glenn (back) will miss again this week. Last week’s backup Jake Fisher (back) got hurt and is now on IR. This week’s street pickup Andre Smith may need to man Driskel’s blind side.